If you’re under financial stress and unsure of whether you’ll be able to make your mortgage repayments, you’re not alone. We look at some of the most common causes of default and how insurance can help protect you against the risks. Kiwis are taking on more debt than ever before. According to the Reserve Bank of New Zealand, in 1988, the average household had around $16,000 in debt and an income of around $35,000 – a debt-to-income ratio of 46%. By the end of 2017, the average household debt had risen to nearly $160,000, while average incomes had only increased to $95,000, which is a 168% debt-to-income ratio. 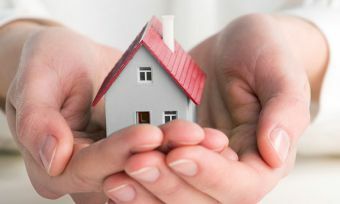 For those living under such high levels of mortgage stress, interest rate rises can have a significant impact on affording the monthly repayments on a home loan. So, at what point does a mortgage become so unaffordable that the owner must default on their repayments? We take a look at three common causes of mortgage default. Divorce or relationship breakdown with a de facto partner can be a common cause for mortgage default. A divorce can be gravely expensive, including thousands of dollars’ worth of legal fees involved in the process, potentially exit fees upon closing joint accounts, taking on half of any joint debts, liability for any bills in your name that were unpaid, and taking on expenses like insurance that may previously have been covered by a partner. Children make divorce even more expensive, and can further increase the risk of mortgage default. Alimony or family support payments can make a huge dent in the income of the spouse who does not have custody of the children. Meanwhile, the spouse who has custody faces the cost of providing four walls and an education for those children on their income alone. Even things like applying for single parent support benefits take time to get approved. 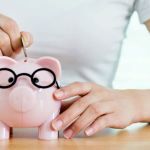 Surviving financially after a divorce takes a courageous amount of effort and will, almost certainly, mean getting professional financial advice specific to the person’s situation. The temptation is to make huge life decisions in a hurry, such as moving far away, going on an impulsive holiday, or even buying a new pet to fill the void. A divorced person can minimise the shock to their finances by focussing on the “four walls” they really need: food, shelter and utilities, clothing, and transportation to and from work. There are a lot of urgent decisions that must be made during or immediately after a divorce, but every other change or decision in life should be put on hold until finances have stabilised. Sorted has some practical information about how to get your finances in order after a divorce or separation. Involuntary unemployment or unexpected illness – basically anything that stops you working unexpectedly – can sometimes lead to mortgage default. The good news is that New Zealand’s unemployment rate is currently remaining relatively stable year on year. As of January 2019, New Zealand’s unemployment rate sits at 4.4%. In January 2018 it was 4.5% and in January 2017 it was 5.2%. The risk of default is not caused by borrowers having a lower income, as this usually means that they will take out a smaller loan with a more conservative loan-to-value ratio. Rather, the postcodes most at risk of default are those in regional areas where employees will struggle to find another job if they are let go. Sorted has some practical information about how to get your finances in order after being made redundant. The life-changing grief that comes from a death in the family is often accompanied by a significant financial burden. This usually includes the costs of a funeral service and burial or cremation, and it can mean the cost of moving to a single income household if the person who passed away was a spouse or partner. Sorted has some practical information about how to get your finances in order after the death of a spouse or partner. Can you insure yourself against defaulting on your mortgage? You can’t insure yourself against interest rate rises (unless you’ve got a fixed rate home loan), but you can insure yourself against default to a certain extent. Mortgage Protection Insurance protects the bank against a loss if you do default on a monthly repayment. And you don’t have to be a First Home Buyer to get this type of insurance. Income Protection Insurance also covers you in case you get seriously sick or injured and can’t work for a period of time. As we’ve mentioned, Life Insurance is also vital in protecting against an unexpected financial burden if you or your loved one passes away. You can compare policies for each of these types of insurance on our website to find a policy that provides outstanding value. The most important thing you need to do if you are in mortgage stress is to talk to your lender. 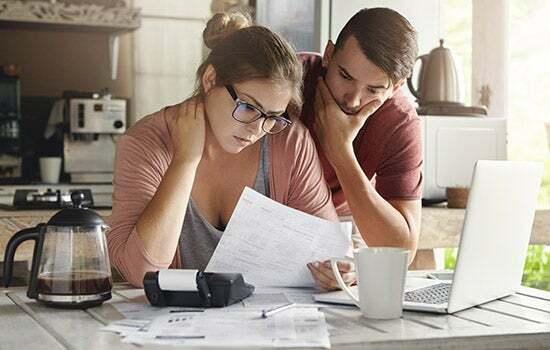 If you tell your lender you are in financial hardship, which means you’re having trouble meeting your monthly repayments, they are obligated by law to assist you in setting up an affordable repayment plan. If your lender is already taking legal action, get legal advice immediately so that you know what your options are.